This book is about crime and the evil things evil men do. As was the case with Hellstorm, there was no pleasure in writing this book. Why then did I write it? Because no one else had. 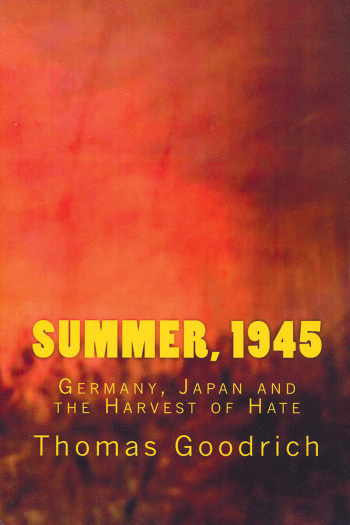 Despite being perhaps the most pivotal moment of the modern era, despite books devoted to virtually every other aspect of World War Two, over the past seventy years none has seen fit to devote a book to these critical four months of world history—the summer of 1945. In those crucial four months—months of so-called “peace” for Germany, months of absolute hell for Japan—the worst crimes known to man, the worst crimes committed by man, the worst crimes committed against man, all occurred and all were committed, then hidden, under a virtual shroud of silence, secrecy and darkness.